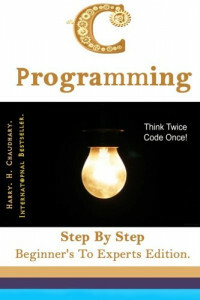 C Programming :: Step By Step Beginner's To Experts Edition. 1. Preface – Page-6, || Introduction to C.
2. Elements of C Programming Language. 8. Your Brain on Functions. 9. Your Brain on Pointers. 10. Structure, Union, Enum, Bit Fields, Typedef. 11. Console Input and Output. 12. File Handling In C.
17. PART-II-120+ Practical Code Chapter-Wise. 18. Creating & Inserting own functions in Liberary. 19. Graphics Programming In C.
20. Operating System Development –Intro. 22. Common C Programming Errors. 23. Live Software Development Using C.